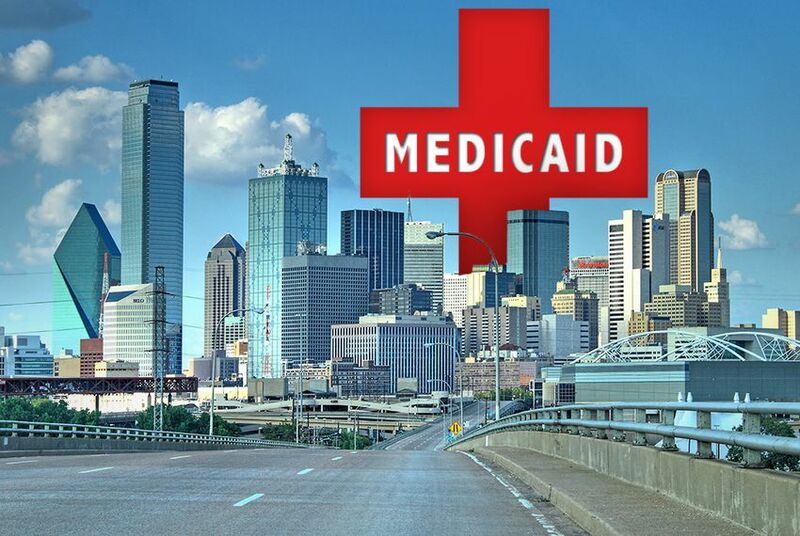 Dallas County officials on Tuesday plan to adopt a resolution to support extending Medicaid benefits to impoverished adults under the Affordable Care Act. Advocates for expansion hope it's the first of many. Updated: Dallas County officials adopted a resolution on Tuesday morning urging Texas legislators to extend Medicaid benefits to impoverished adults under the Affordable Care Act. Original story: Dallas County officials will adopt a resolution on Tuesday urging Texas legislators to extend Medicaid benefits to impoverished adults under the Affordable Care Act. And advocates for Medicaid expansion hope the major urban county's decision will spur other counties to adopt similar measures and pressure lawmakers into taking action. “A broad spectrum of people across business, faith and health care communities are coming together to ask that we find a way to draw down these federal dollars, and I think it's imperative that we do,” said Judge Clay Lewis Jenkins, chairman of the Dallas County Commissioners Court. In 2011, local Texas governments, cities and counties, spent $2.5 billion in unreimbursed health care costs, according to a report by Billy Hamilton, the state's former deputy comptroller and former chief revenue estimator. If Texas expanded Medicaid coverage to impoverished adults in 2014 under the Affordable Care Act, the state could receive an additional $100 billion in federal dollars over 10 years, helping to offset that spending by local governments. The state would pay $15 billion during that time, which opponents of the expansion, including state Republican leaders, argue is too much. “We’re doing his across the state. The resolution is our strategy...to put pressure on the governor and the Legislature to pass Medicaid expansion,” said Willie Bennett, lead organizer with the Dallas Area interfaith coalition, which helped write the resolution on Medicaid expansion that Dallas County plans to adopt on Tuesday. He said their organization is working with other major counties to also pass resolutions. Bolstered by Dallas County’s impending decision, the Texas Organizing Project, an advocacy group that has organized hundreds of Texans to support expanding Medicaid, plans to send coalition members to county meetings in Bexar, Harris and Hidalgo counties on Tuesday to testify in favor of local government officials adopting similar resolutions to support Medicaid expansion. “Working uninsured [Texans] are leading the fight. These are everyday people who work, some of them six days a week, but can’t afford health insurance,” said Durrel Douglas, a spokesman for the Texas Organizing Project. But Gov. Rick Perry, a vocal opponent of the federal Affordable Care Act, has repeatedly said that Texas will not expand Medicaid. Josh Havens, a spokesman for the governor, said his position has not changed and that advocates would be hard pressed to receive approval for an expansion from state legislators. “The current Medicaid system is unsustainable for this state, and would be for counties as well,” Havens said in an email. “Counties can bring this before lawmakers, but the governor does not want the state footing the bill. For this to even be considered, counties should have to face paying the entire cost of the program without state tax dollars." Despite the firm opposition of the state’s Republican leadership and concerns that the existing Medicaid provider network would not be able to adequately support the new patients — an additional 1.5 million Texans — the number of Medicaid expansion advocates who believe the state shouldn’t turn down federal funding seems to be growing. The Texas Hospital Association, the Texas Medical Association and an interfaith coalition that includes the Texas Catholic Conference are among the groups pushing for a bipartisan measure to expand access to care through an expansion of Medicaid services. Because counties pay a large portion of health care costs, they “have a reason to exercise their voices regarding the effects of passing up this opportunity,” John Hawkins, the Texas Hospital Association’s senior vice president of advocacy and public policy, said in an email. Medicaid expansion could help pay for care for individuals “who would otherwise weigh on the system in some other way that is going to ultimately be paid for by taxpayers and private market health insurance payers,” he said. Editor's Note: Dallas Area Interfaith originally stated that the organization helped craft a resolution that was adopted by El Paso County on Monday, but that was inaccurate; El Paso did not adopt a resolution to support the Medicaid expansion on Monday. The story has been corrected.